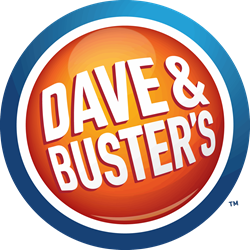 Dave & Buster’s Entertainment Inc. has announced plans to pare down the size of its big-box entertainment complexes for smaller markets with plans to open two smaller units in 2018, according to The Nation’s Restaurant News. Company execs say that the 25,000-30,000 square foot units will debut in Rodriguez, Arkansas in early 2018. In an analyst call, Stephen King, Dave & Buster’s CEO, outlined plans to open 8 units of approximately 40,000 square feet; two of the 30,000-40,000 square foot version; and 4 of the smaller units that will be 30,000 square feet or less. The reduction in footprint is designed to lower pre-opening costs, but also are anticipated to generate lower average revenue per unit, according to Brian Jenkins, Dave & Buster’s chief financial officer. While the chain has experimented with smaller layouts in the past, Jenkins explained that the new plan is new and improved. He explained, “Last time, essentially, we just took everything and proportionally shrunk it. So we had special-event space in there, and we had a dining room. We had everything that you have in our traditional-size stores, just everything was smaller. And what that manifested itself in the midway or the arcade was about 5,500 square feet.” The newer format enlarges the midway to 10,000 square feet, which Jenkins says is “going to be a much better and more effective way for us to try to tackle those smaller markets.” These markets would be those with populations between 200,000 and 500,000, places where King said they could get $4 million to $4.5 million in sales per unit. Dave & Buster’s owns and operates 105 locations across 36 states and Canada. A proposed rule, published Tuesday in the Federal Register, , is designed to clarify the Fair Labor Standards Acts (FLSA) and allow tip pooling in certain cases to include back-of-the-house workers that have previously been prevented from sharing in tips, including dishwashers and line cooks, according to The Nation’s Restaurant News. The new rule would apply only to employers who pay a full minimum wage and do not take a tip credit, which excludes a number of states in the West. The rule undercuts changes in 2011 under President Obama’s Labor Department, which said that tips rightfully belong to the employees that earned them, and therefore legally can only be pooled with other employees who received tips, CNN reported. The regulations are “not just about sharing tips with the back-of-the-house staff — that part would be okay — but employers would have the right to decide what to do with the tips,” Saru Jayaraman, president of Restaurant Opportunities Centers United, or ROC, an advocacy group for restaurant workers, told the Washington Post.